Social advocate 4+ years, adventurer, daughter of the king, lover of life, people & all the little things. Likes: Flowers, paddle boarding, prayer, good coffee & wine, cooking, learning, reflection, essential oils, good friends, mountains. Dislikes: Heights, dishonesty, fast food. Haley began interning for Austin Angels in January 2017 while she was working on her BSW at Texas State University. She began working as a case manager part time in August 2017 while she began a one-year MSW program, also at Texas State University. After finishing her MSW, she came on staff as a full-time case manager in August 2018, focusing primarily on growing the Dare to Dream mentoring program. In January 2019 Haley stepped into the role of Program Manager, overseeing both the Love Box and Dare to Dream programs as well as the case management team. Haley is a lover of all things outdoors. 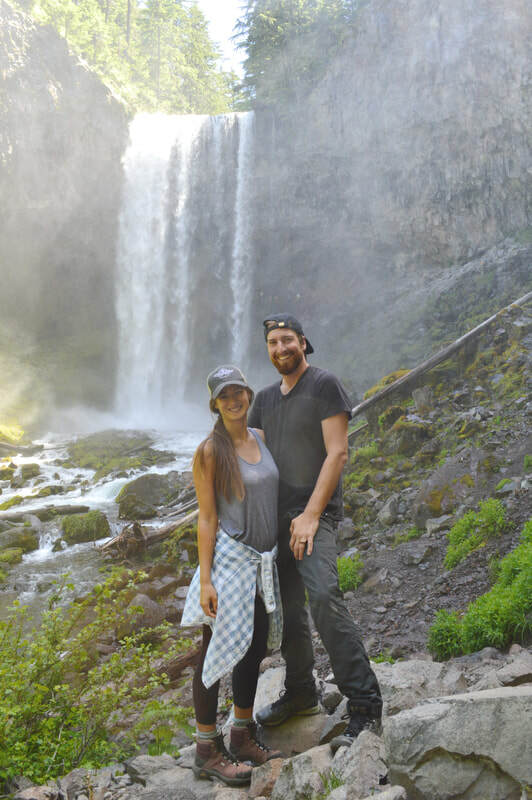 In the evenings and on weekends, you can find Haley enjoying time outside (whether she's rock climbing, camping, hiking, or spending time on the water) and working on her tiny house with her husband. Haley loves beautiful flowers and her dog Layla. She loves a good fiction read and is dedicated to learning and building research-based, sustainable programs at Austin Angels.